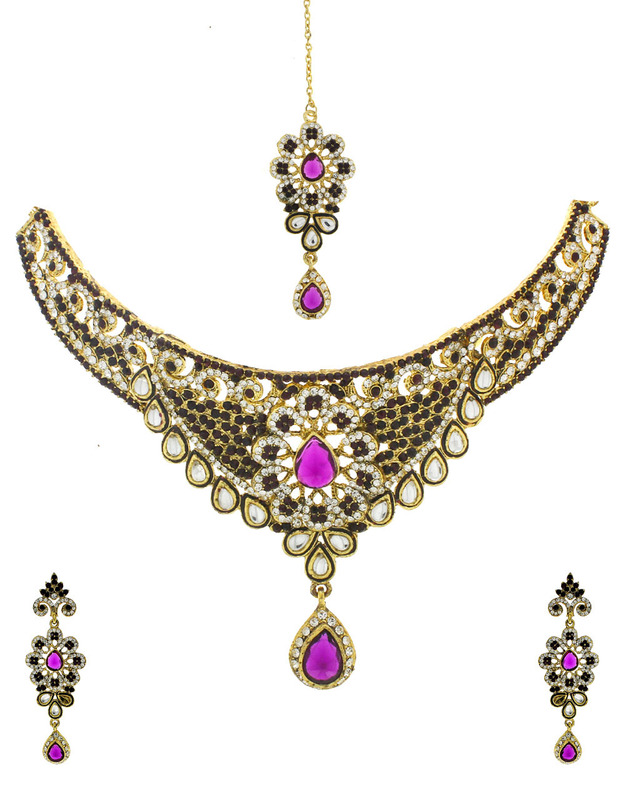 Get that perfect bridal look by wearing this pretty purple colour necklace set which feature amazing design. 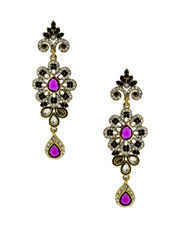 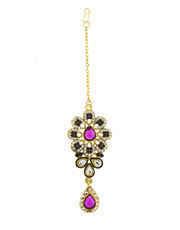 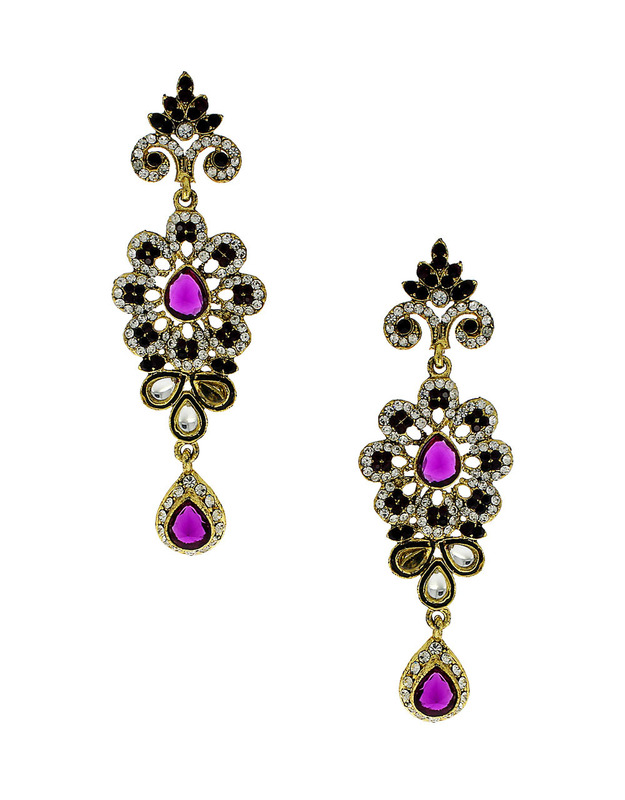 It is encrusted with sparkling white-purple colour stones along with pachi kundan. 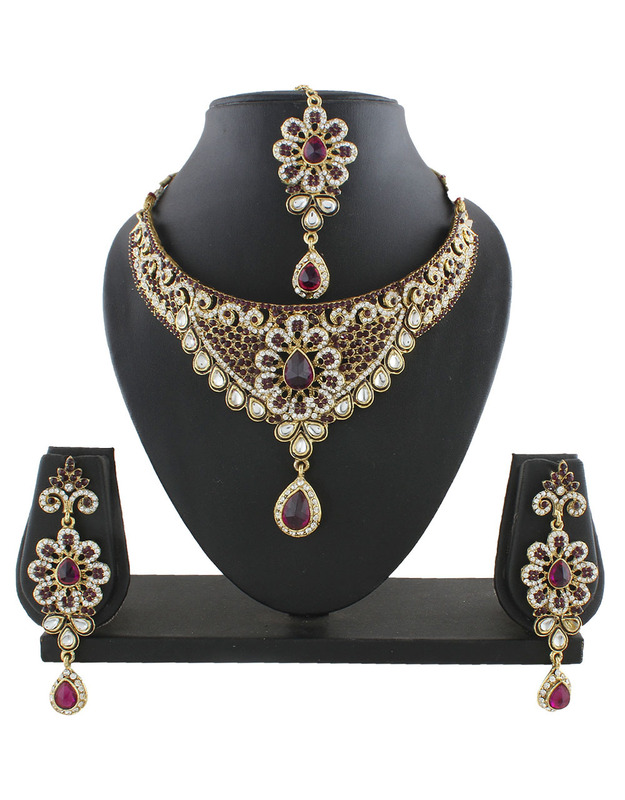 This necklace set is fashioned from golden finish metal and ensure high durability. 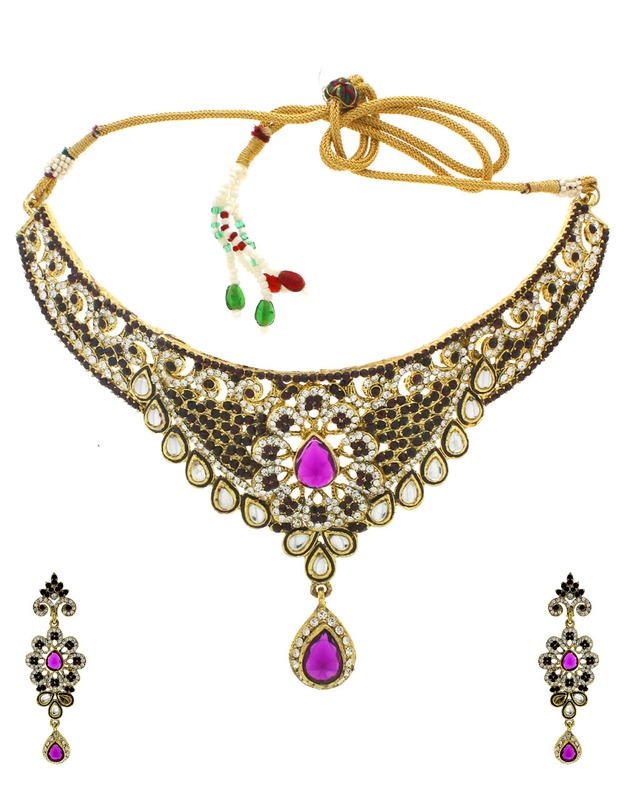 Club it with matching ethnic saree and get that distinct look. 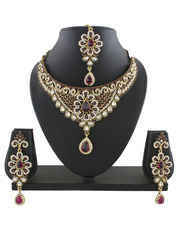 This set comprises necklace, pair of matching earrings and maang tika. 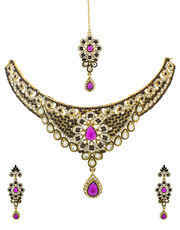 So buy now!